Light has been traveling for 13 billion years across the universe to reach telescopes today, and some of that light has come from black holes!! Yes – light – from a black hole, that is the event horizon, technically. Which is found around the black hole and is made up of illuminated matter like stars. The event horizon allows astronomers to detect where a black hole is located. However, even with the many observations made of early black holes, or quasars, astronomers still haven’t observed the birth of a black hole in the early universe… until maybe now. Astronomers at the University of Michigan, Georgia Institute of Technology, The San Diego Supercomputer Center, IBM, Dublin City U., and University of California at San Diego have conducted a new study that simulates early universe galaxy formations, and it shows that when new galaxies form dark matter halos form as well and when these halos interact with the gravity of the galaxy formation and through this massive black holes began to form in the simulation. Formerly understood that black holes need large amount of star forming regions with lower radiation levels for black holes to form. Higher ultraviolet radiation from nearby galaxies, lower chances for stars to form, radiation blows apart any potential for even protostars, and stars to form. And what dances around black holes? STARS! And other illuminated dusty gaseous stuff.. So if there’s not chance for stars to form, hence feeding a black hole then no black hole. SO high radiation zones were always a no-no when it came to black hole formations. BUT now with early simulation studies, this might be possible due to the rapid galaxy collisions and turbulent assemblies that may prevent normal stars from forming but not massive black holes! These simulations were done using the Renaissance Simulation suite, a 70-terabyte data set created on the Blue Waters supercomputer from 2011- 2014 in order to bring an understanding to how the universe evolved during its early years. What was found were these halos of dark matter.. specifically TEN of them! Based on their masses, the dark matter halos typically would form stars. Scientists re-simulated two of these dark halos (each are around 2400 lightyears in size) to see what they were up to 270 million years after the Big Bang. And what they found was fascinating, these dark matter halos collapsed under their own gravity, the gas falls into the gravitational potential and then BOOM.. into a black hole. 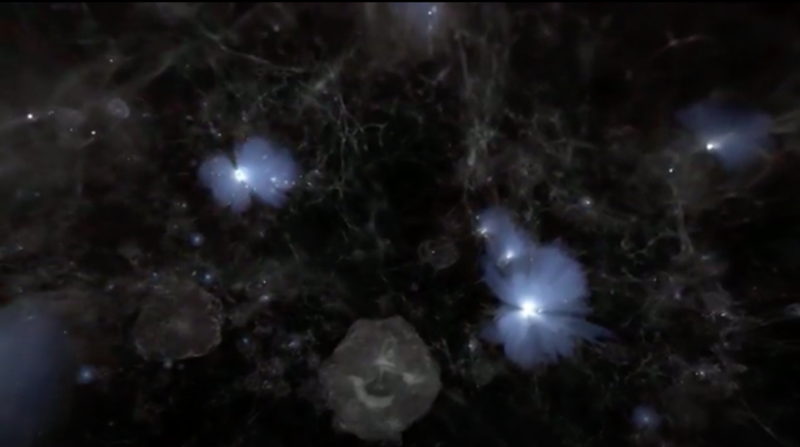 So, based on these simulations, the dark matter halos were forming black holes in the very early universe. There’s this really cool technique used for these simulations known as “adaptive mesh refinement” which zoom in on dense clumps when forming the stars or black holes. 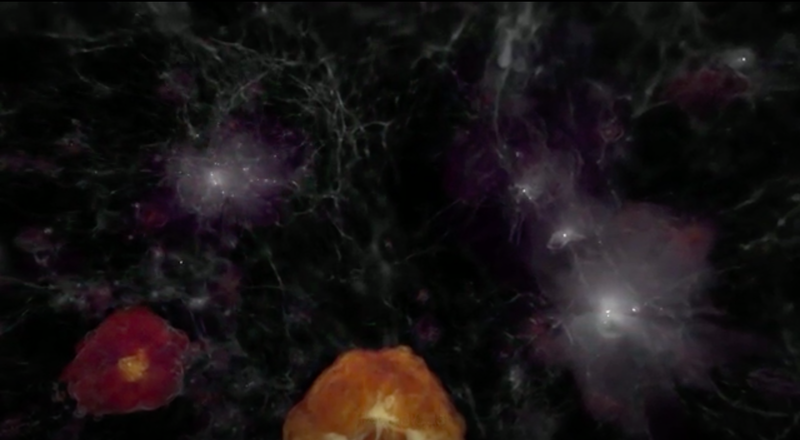 This gains insight to the very first black holes that may have formed in our universe. Astronomers have been observing supermassive black holes for a while, with the size of around a billion solar masses (thats 1 billion Suns) and just over 800 million years old. In order for a black hole to form that largely, that early on in the universe means there had to have been galaxies forming super early on in the beginning of our universe. Who KNOWS what else was forming that early on in these dark mater halos or these super early galaxies, how many more black holes were there back then? And what can we expect for the future? The more we understand, the more we get closer to finding the answers we all seek. Science communicator and Astrophysics writer @Astroathens Keep learning space peeps!